The retractable roofing systems provide the perfect shelter for people who desire to spend some of their time under the sky, but without being under the mercy of the blazing sun or strong winds. 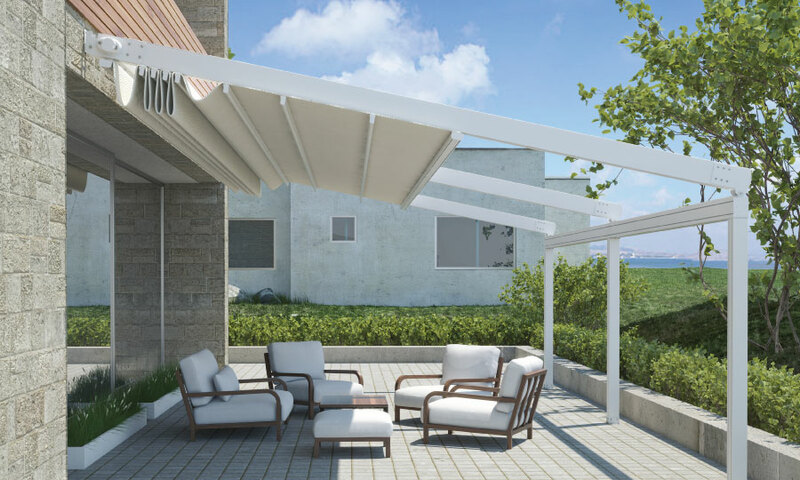 The retractable awnings are convenient for the users because they can be opened and retracted back with ease. These awnings keep the temperature cool and reduce energy consumption. Some kinds of retractable awnings Sydney have been mentioned here. The high quality retractable pergolas transform the outdoor space of the house or an office into a perfect enclosure for dining or any other entertainment purpose. The retractable pergolas are made of high quality aluminum, which imparts both strength and durability for long term use. The high quality aluminum also enables the retractable pergola to withstand wind speeds as high as 118 km/h. The pergolas are available in motorised versions with remote controls. In terms of architectural designs, they are available in a plethora of forms to suit any outdoor setting. The pergolas are also available in many waterproof fabrics and acoustic options. The sun sensors installed on the awnings makes them unroll automatically in case of blazing heat from the sun while the wind sensors automatically retract the awning during windy conditions. LED lighting options are also offered along with awnings. These are innovative retractable roof systems sydney which are ideal for covering the deck, patio or balcony of the home. They are also suitable for restaurants and cafes. The folding arm awnings do not require any kind of vertical support such as posts which saves space in the outdoor area. These awnings have horizontal folding actions instead of vertical like other kinds of awnings. Motorised folding arm awnings are available in the market featuring both button and remote mode of operations. High quality stainless steel parts and fixings are used in the awnings along with premium fabrics. Conservatory awnings have been designed to provide shade in glass conservatories even though they can also be used for shading pergolas and can be installed using posts. The conservatory awnings are able to deflect maximum heat from the sun which makes them ideal for hot sunny days when the glass panels of a conservatory makes the environment unbearable for the occupants. The awnings are also capable of withstanding very harsh wind conditions. The conservatory awnings in Sydney are available in specially designed cassette casings which prevent accumulation of dirt and leaves on them. Sun and wind sensors along with motors are also present in such awnings. The retractable awnings sydney prices are quite affordable even in case of the branded ones. There are many online stores which offer many attractive deals on the awnings.